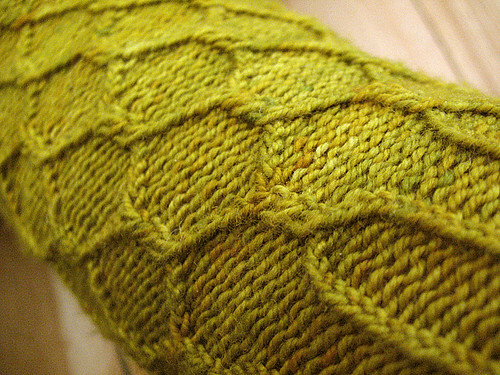 After a winter of bright knits (pond scum anyone? ), I'm now ready for more delicate colours. Not necessarily what one would think of as "pastel", but more subtle, faded hues. 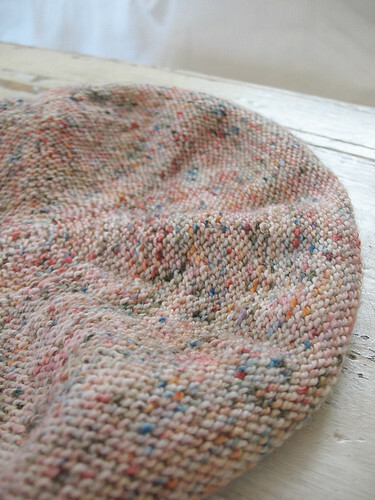 I think this beret is a lovely example of a delicate hue highlighted with little bright punctuations. 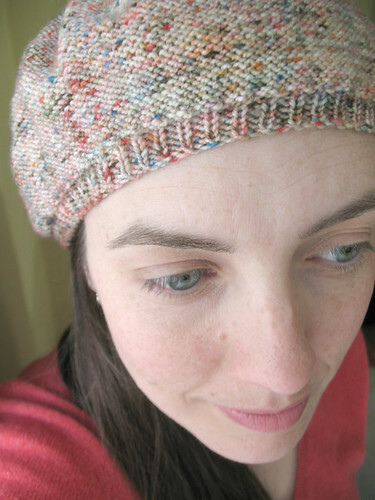 It's Koigu's KPPPM in the softest shell pink, dotted with teeny specks of peach, coral, indigo, moss.... I love this little hat. I used the Purl Bee beret pattern, but in reverse stockinette stitch which produces a subtle texture that diffuses the variegation so prettily. Perfect gift for the person who has everything? I don't know if you've seen this, but it's just kookoo for Cocoapuffs, especially the second one. Holy Mackerel! I've just come back from the dead, y'all. 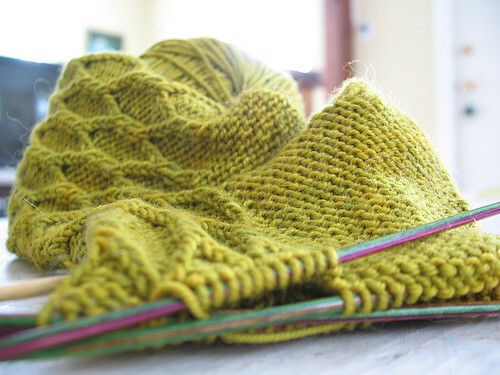 I DIDN'T KNIT FOR TEN DAYS STRAIGHT! You read that right. Ten days. It was hell. But finally, this morning I woke up and felt like living again, so I polished these babies off on my lunch hour. 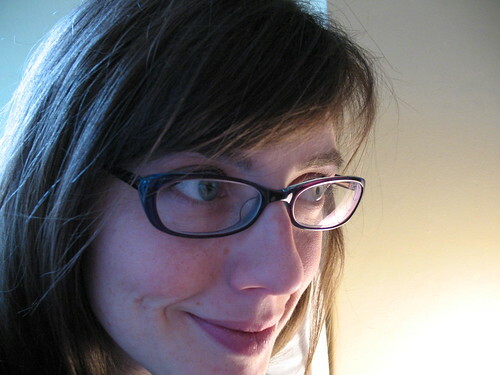 You'll have to forgive me, I took excessive amounts of glamour shots. Indulge me, will ya? I've been an unwell woman starved for a little bit of knitting. 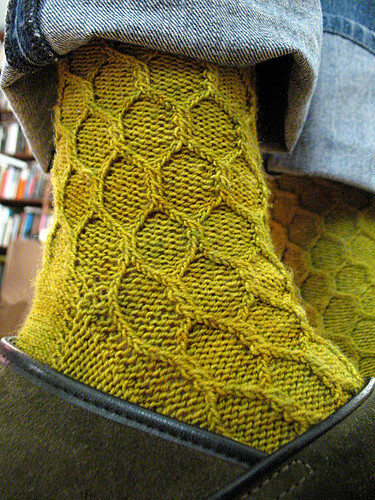 Pattern: Snicket Socks, by Sabine Riefler, from the now defunct Magknits (whoa, the poop really hit the fan on this one while I was "away"). If you want the pattern, go to Sabine's website, she's provided a link to a Google cache of the pattern. 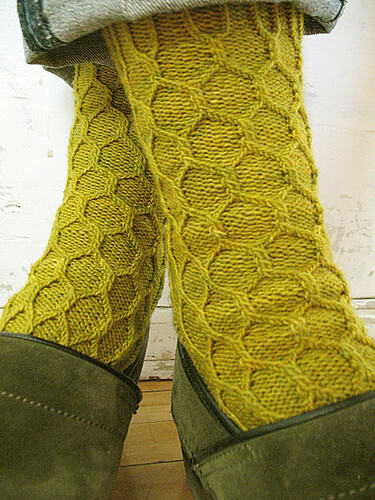 I made two major mods: a flap heel instead of a short-row heel, and reverse stockinette heel/sole/toe. 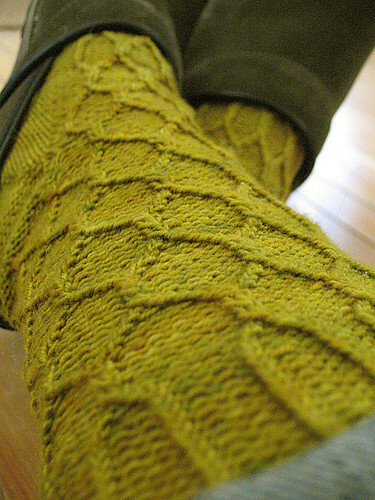 Yarn: Socks That Rock Lightweight, in Pond Scum (I love love love this colour). 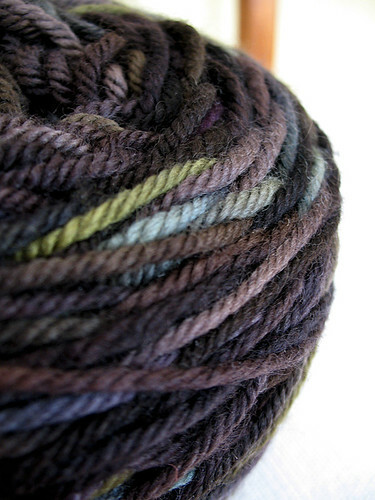 It was my first ever skein of STR, and really enjoyed working with it. 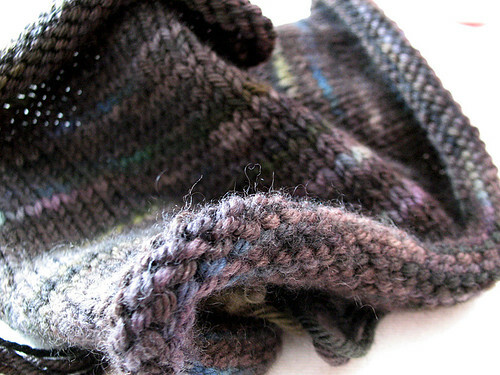 It's got a stiff, tight twist that really shows off all those knit-in-back cables. Not so easy on the hands though. Many of you asked which Perl Grey kit I ended up buying. Guided by my desire for something totally mindless, cozy and neutral, I went with Jo, a simple turtleneck that's knitted sideways, in once piece. Colour choice had a significant role in my selection, as I totally fell in love with the dark, raven-ey hues in this kit. As you know, darks are notoriously difficult to capture, so imagine this as a darker, deeper, more saturated mélange. I also bought myself another present: a ball winder. I know, I know, it was about time, right? No more tightly-wound rolly-polly balls for me. Center-pull yarn cakes, here I come. 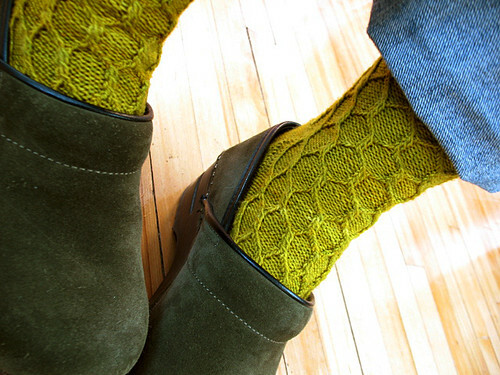 As a total contrast to the moody tones of Jo, I'm also working on some extremely vibrant Snicket Socks.